This is the promise I make to each woman who calls my number. With Esme I expected nothing different. I’d return to work the next day with a deep appreciation for her body, the sound of her moans, and a night of memories. Except she was different than anyone I’d ever met before. She was more. Needier, sweeter, more honest while also keeping everything personal hidden. Maybe it was the mystery that drew me to her. All I knew was that I craved another night. When my best friend came to me looking for help with a girl, the last thing I expected when I finally met the mystery woman was for her to be my mystery woman. I’d been unknowingly helping him woo the one woman I wanted another night with. And that leaves me with quite the problem when Esme also needs my help...be a good friend or indulge my own desires? *Reckless Kiss was originally published as a newsletter serial. There are a few extra scenes and an extended ending in the final published book. If you read the newsletter serial you do not need to purchase the book…unless you want it to keep! 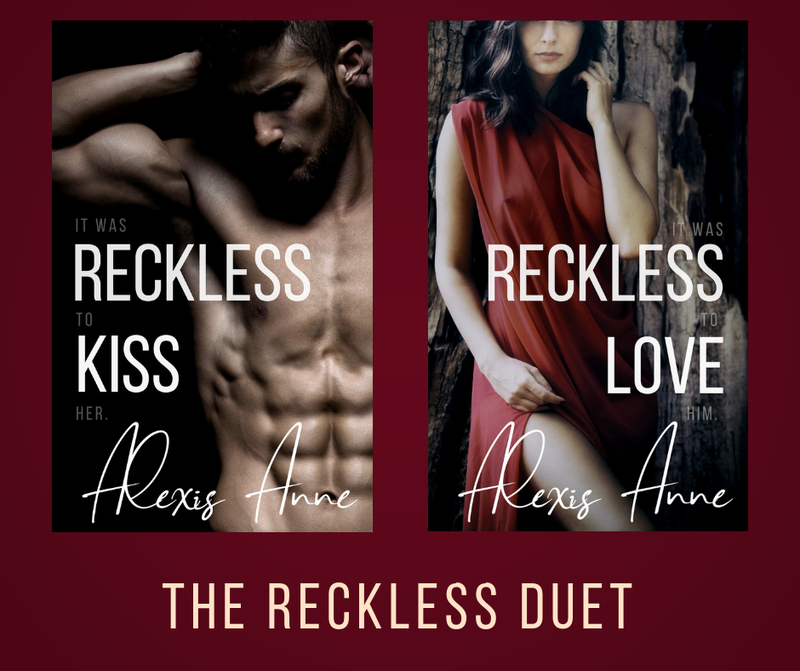 **Reckless Kiss is a duet.